This is one of those recipes that you read and say,”It doesn’t sound so good” but it is – and easy. In fact some people make this a meal by adding some wide noodles to the finished product. It’s very economical for those of you saving for a house, baby, or vacation! It also goes well with corned beef. 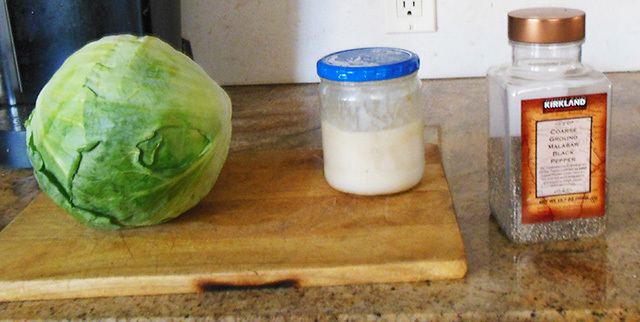 – Slice up the cabbage. 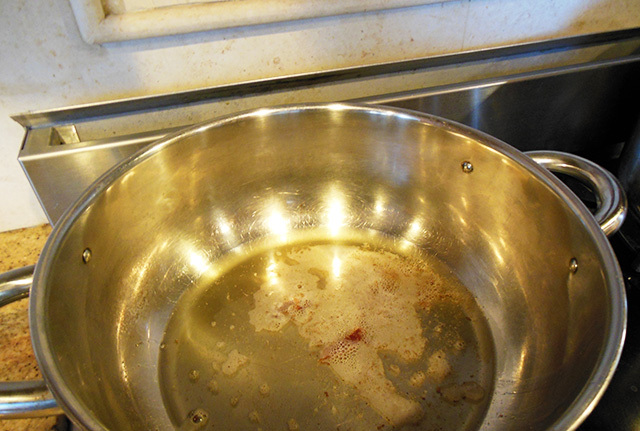 Melt the bacon fat in a large skillet pan with high sides (so your counter doesn’t get messy.) Spoon in the pepper and don’t be skimpy! 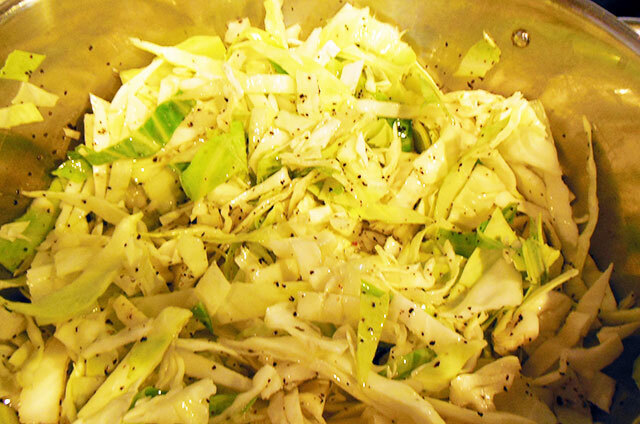 – Toss in the cabbage, add some salt and keep mixing it until the cabbage is wilted. 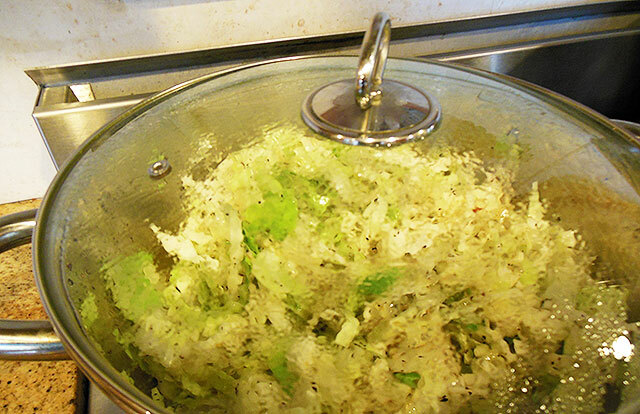 – In another pot boil up some salted water and cook the noodles. 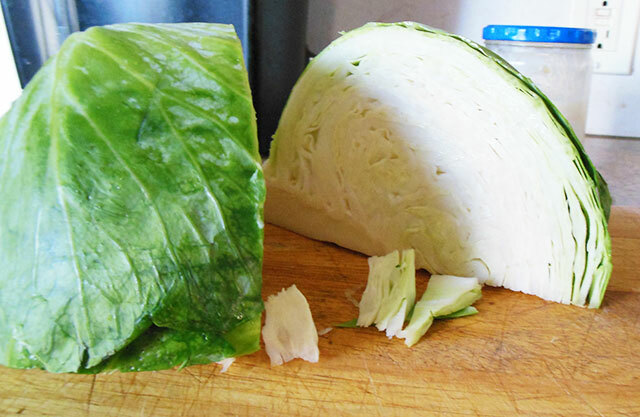 Add to the cabbage.